Out of all the iDevice owners, most of the people own an iPhone. However, not everyone is able to enjoy the benefits of an unlocked handset. Many iPhone owners have locked devices, and they dream of getting their device unlocked and use it on any carrier in the world. Today’s post is specially being created for Unlocking Vodafone UK iPhone 8, X, 7, 6S, SE, 6, 5S, 5C, 5, and 4S using permanent IMEI unlock service. The price isn’t that much of a factor considering the fact that the handset is going to get unlocked forever. This means you can travel to anywhere around the globe without paying even a penny for cellular service. You heard it right! There’s no roaming fees once the iPhone is freed from the lock of Vodafone UK network. The solution is very safe, legit and you’ll further find satisfaction after knowing that even Apple itself promotes factory unlock solutions done through the IMEI code. The service also works for AT&T, O2 UK, Orange, Vodafone Spain, Three UK, Vodafone Australia and many other carriers. In order for the unlock of Vodafone UK iPhone, you’ll have to provide your IMEI number. This method can’t be processed without it. The service supports many basebands, including 4.12.09 / 4.12.05 / 4.11.08 on iPhone 4, 3.0.04 / 2.0.12 / 5.0.02 on iPhone 4S, 1.00.10 / 1.00.16 / 5.02.00 on iPhone 5, 1.03.01 on iPhone 5s & 5C and can be used to unlock barred / blocked iPhones. The IMEI will be permanently entered in Apple’s database, and after syncing the handset with the iTunes, you’ll be able to use an permanently unlocked device. The service is provided by UnlockBoot Team, offering the best way to get the iPhone unlock on any iOS firmware including iOS 12, 11, 10, 9, 8, 7.1, 7 and below. Since the company established, it’s the best many have seen in a while. The company is verified and tested, and their legit service is the reason for their success. 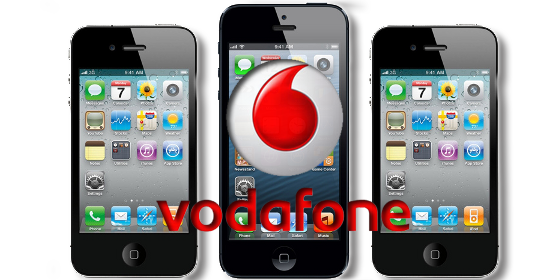 To discover more on prices and the service, factory unlock Vodafone iPhone NOW!